Statins are effective in reducing deaths from heart attacks and strokes in high-risk patients. They reduce the risk of a second heart attack by a third. There is an on-going debate about whether statins should be given to lower risk patients. 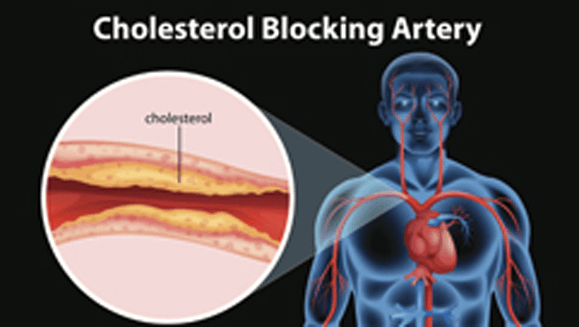 High LDL cholesterol levels are a significant contributor to coronary artery disease (CAD). CAD is caused by the hardening of arteries over time, and it is believed that the slow build-up of LDL cholesterol inside the arteries is what causes this hardening. By lowering bad cholesterol levels, statins also help reduce the risk of heart disease, and may be prescribed to reduce the risk of heart attack and stroke-related death in people with high risk for or known CAD. Types of Statins - Lipitor, Zocor, Crestor, and more. Introduced in the 1980s, statin use soared in the 1990s and 2000s when they became the first widely used preventative medicines. Millions of people take them every day, all over the world. There has been controversy about whether statins should be used for prevention, but studies have shown their benefits. A lipid profile is a standard part of blood work ordered in a standard physical. The results of the lipid profile - the levels of LDL, HDL, total cholesterol, and triglycerides - along with other details about the patient (e.g. age, overall health) go into the doctor’s decision about whether to prescribe a statin drug. While in the past the medical profession was subject to criticism over its focus on cholesterol levels – which are after all only a surrogate for heart disease, not the disease itself – this problem has been addressed. Until recently prescription guidelines called for statins to be administered to people with high cholesterol levels. The current guidelines take a risk-based approach and consider LDL-C level as only one of many factors in deciding whether to give a patient a statin. The new guidelines do not recommend the "treat to target" focus that brought criticism in the past. Cardiovascular disease is a global epidemic and that its risk factors are widely prevalent. Over 700,000 Americans have heart attacks in a given year. The Centers for Disease Control and Prevention reports 600,000 Americans die from heart disease every year - it’s the leading cause of death. With the widespread availability of generic statin medications and the success of the drugs in lowering cardiovascular disease incidence, statin usage is likely to increase. It is argued that statins are one of the most important inventions of recent times. 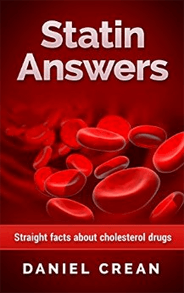 Questions and answers about statin drugs. Statins are effective for both men and women; they lower cholesterol in all groups, including those who have previous cardiovascular problems and those who do not. Analysis after analysis of patient data from tens of thousands of statin users from different countries around the world has found these drugs to really work. And to be generally safe. While there are side effects associated with them, the cost-benefit calculation comes down on the side of showing these drugs are awesome, time and time again. They reduce incidence of cardiovascular events no matter what the starting level of cholesterol was and no matter whether the patient has previously had a heart attack or stroke or not. Statins have benefits that are independent of their effects on circulating cholesterol levels. These bonus effects are called pleiotropic effects. Indeed, recent analysis has found that early reports of the benefits of statins were understated and they are even better than previously believed. Whether statins should be used for primary prevention and be distributed widely to those without other risk factors, is a matter of much discussion and debate.